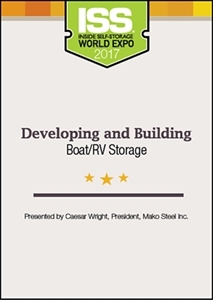 Learn how to develop a successful boat/RV-storage project by finding the right parcel in the right market for the right price. Topics include market demand, design trends, building types, costs and more. Speaker: Caesar Wright, President, Mako Steel Inc.